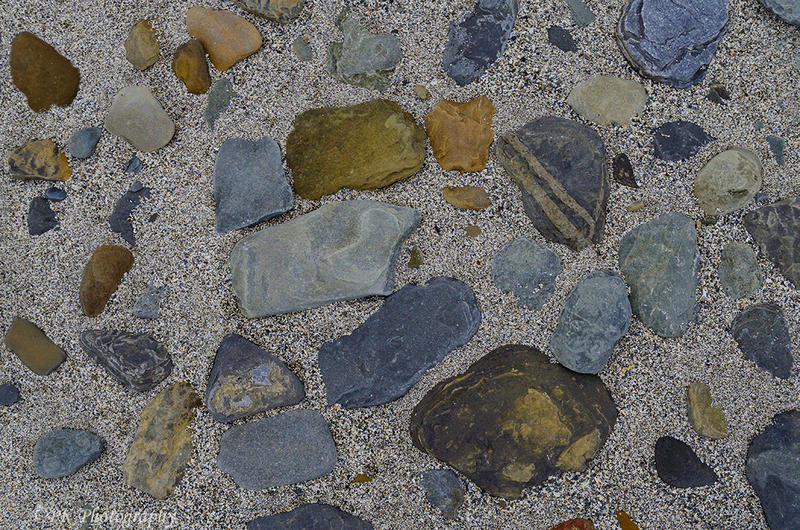 Rocks left randomly by the tide are a natural form of abstract art. 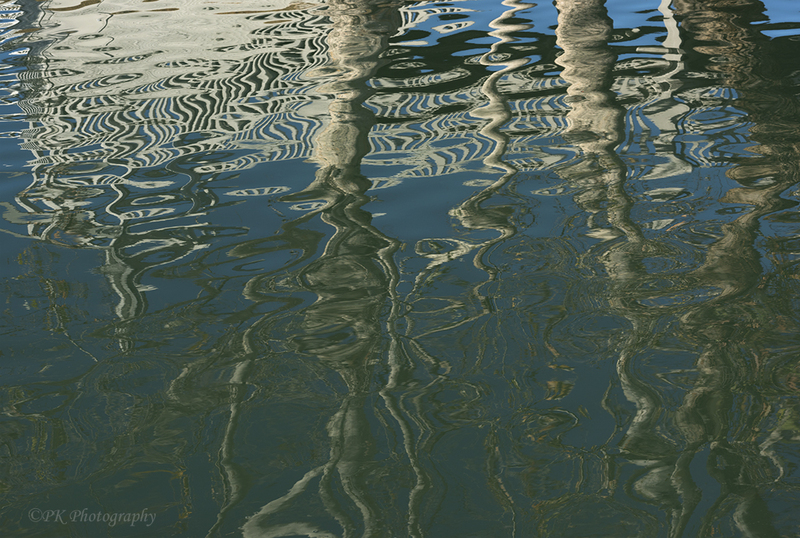 An upside-down bridge and trees are reflected in the rippled waters of the lake below. 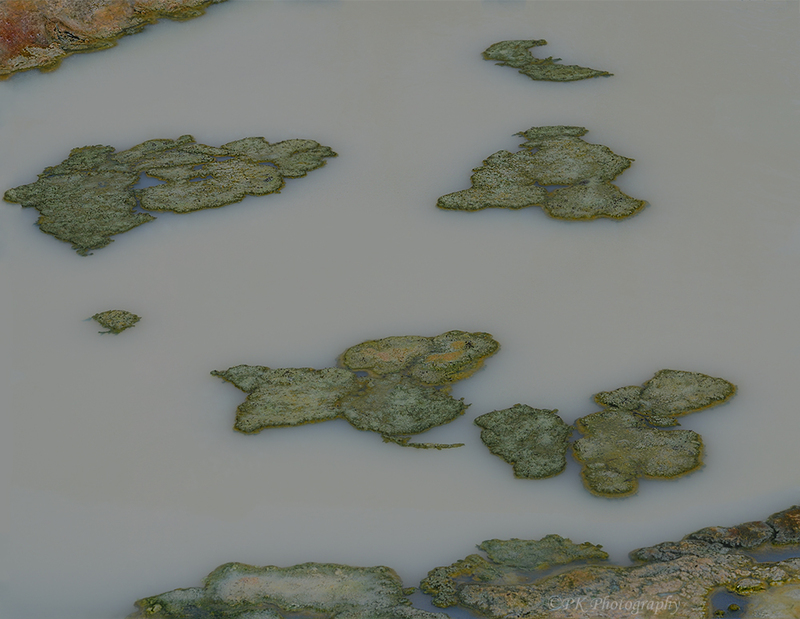 Here is another natural abstract of a hot spring at Yellowstone National Park, Wyoming. Temperatures in the springs promote the growth of a variety of heat-loving microbes, which reflect different colors. The hot springs of Wyoming’s Yellowstone National Park are a natural study in abstract design with a color palette provided by microbes that thrive in hot temperatures. The tide is spilling over a flat rock shelf and into a shallow pool at Laguna Beach, California. Observed from a cliff above, the water and rock take on an abstract appearance.